Cost: The set-price three-course L’Unch menu costs £29, or £39 including beverages (bottled water, a glass of wine and coffee). 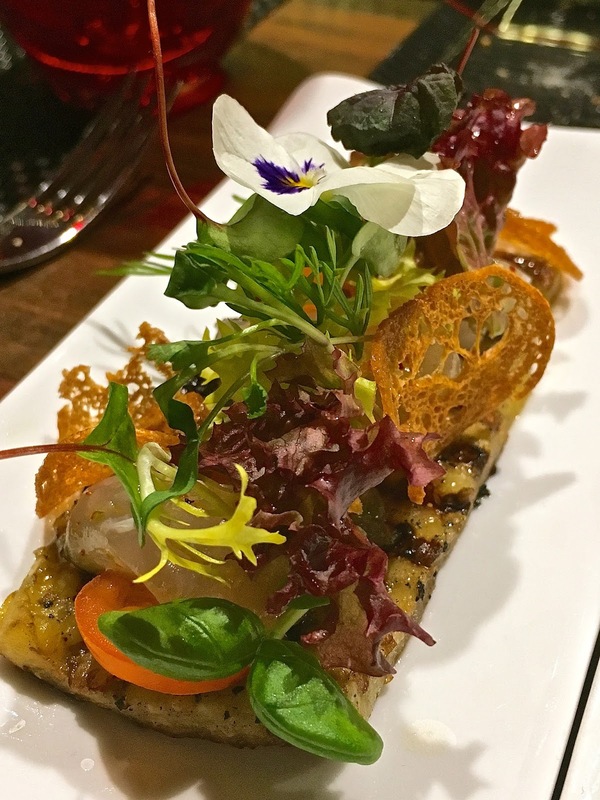 About: L'Atelier de Joel Robuchon, set a few metres away from Cambridge Circus, is one of the most popular London restaurants, but not a place I would rush for a quick, cheap and cheerful meal. That was until L'Unch! The 1-Michelin-starred restaurant is now offering its new L'Unch concept, launched in September 2016. The idea is simple – to provide an efficient and affordable Michelin-starred lunch for working people during the week. Happily it is also served on Saturdays, and so Dr G was able to join me to sample the January menu. There are just two sittings (12 noon and 12.45pm), booking is only taken online (here), and guests select their dishes at the time of booking rather than at the restaurant. All dishes are helpfully and accurately illustrated on the website and detailed descriptions of the ingredients for each dish are given to help you choose. L'Atelier de Joel Robuchon is glamorous in black and red with a lush green indoor garden wall on one side, set around a central open kitchen where the chefs beaver away in full view of all the diners, and an extensive chef’s table/bar spreads round three sides of the kitchen. 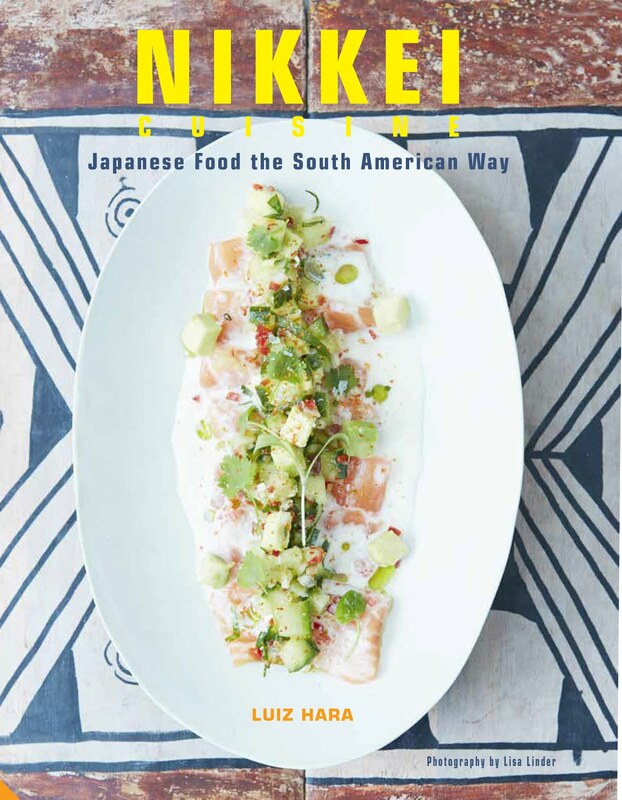 Headed by Chef Jeremy Page, the menu changes monthly, and from February 2017 the plan is to offer a choice of three options for each of the three courses. You can check this month's menu here. What We Ate: Starters and main courses are served simultaneously on plates that cleverly interlock, so that you can remove them to eat each course separately if you prefer. On our visit, the starters were L’Oeuf en Meurette – a delectable Burgundian dish of poached egg served in a Bourguignon red wine sauce, accompanied by smoky lardons and mushrooms, and toasted garlic croutons. Starter 2 was line-caught sea bream, served sashimi-style on chargrilled aubergine, with cherry tomatoes and a Citron de Menton confit. I loved the presentation of the dish, with colour from the edible nasturtium flowers, height and texture from the wafer-thin crisps of bread. For main course, a British pork tenderloin was served seared and roasted until pink but still soft, served with a smooth and creamy celery puree, braised carrot and a nut crumble. The red mullet main course was a grilled fillet, accompanied by a light citrus and broccoli guacamole, butternut squash puree, and roast fennel. 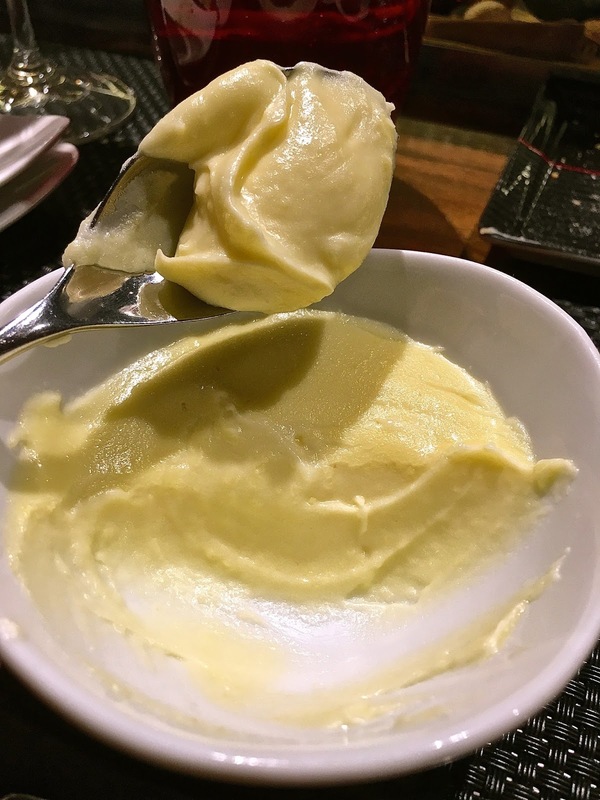 Every diner also gets a serving of Joel Robuchon’s famous mashed potato, made from a 50:50 mix of potatoes and butter, which is almost too good to be true – unctuous, aromatic and utterly delectable. Dessert included a Galette des Rois (King’s cake), a traditional French January classic made to celebrate the Epiphany, of delicate frangipane and almonds, encased in flaky puff pastry. Our final dessert was a Paris Brest – light choux pastry, filled with an airy praline crème patissiere, garnished with toasted nuts. This is always a test of the pastry chef’s talent, and L’Unch’s did not disappoint. What We Drank: We started in the upstairs bar with a couple of cocktails - the Islington Negroni combined Portobello Road gin, Kamm & Sons ginseng, Del Professore Bianco vermouth, a teaspoon of Pimms and grapefruit peel (£17). This was a lighter, less astringent version of the classic Negroni, well suited to a lunchtime aperitif. The non-alcoholic Hibiscus Dazzle mocktail (£9) was a delicious concoction of fresh red berries, hibiscus, pomegranate, lychee juice, lemon and soda, with an aromatic sprig of fresh rosemary. Inclusive in our meal (£39 with beverages), the white wine chosen by the sommelier was an Austrian Grüner Veltliner from Huber, with refreshing notes of green apple and mineral. The red wine was an Aglianico (Posso) from Campania, Italy. This was a fresh but powerful wine with ripe cherry fruit and plenty of balancing tannins. Our meal finished with some excellent coffee, salted caramel chocolates and madeleines. 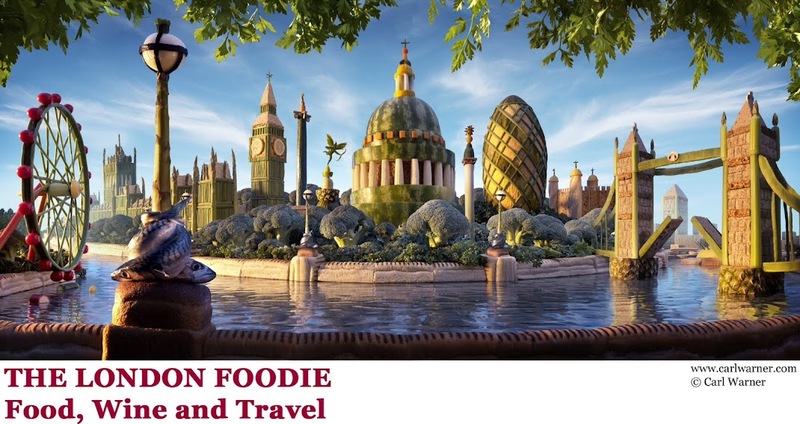 Likes: Glamorous but intimate setting, great views of all the action in the kitchen, and some superb cooking. All the dishes we had were exquisitely cooked and presented, but I particularly enjoyed the classic oeuf en meurette, the delicate fillets of red mullet, and the pork tenderloin. Verdict: At £39 per person for a top notch 3-course Michelin-starred lunch with wine, water and coffee in the centre of London, L’Unch represents outstanding quality and value for money. The ability to select your entire meal before you arrive, from photographs on the website that are amazingly accurate, is a brilliant innovation, and I would not be surprised if it caught on. Very Highly Recommended.